PHOENIX – Seasoned chefs and firehouse cooks will pair together competing in a cook-off challenge on Saturday, February 2, 2013. Two Gals Event Planning and Gatekeepers Firefighter Motorcycle Club are proud to host the 6 Alarm Firehouse Cook-off Showdown held at Sub-Zero Wolf located at 15579 N. 83rd Way in Scottsdale, AZ from 6:30 pm -10:30 pm. Attendees will enjoy dishes prepared by local restaurants and firefighters, tempting the taste buds with light appetizers to hot and heavy signature dishes. Bid on a date with a local firefighter or dinner at a local firehouse during this special firehouse –themed live and silent auction. This will be one heated night you will not want to miss. Tickets are only $45 per person, complimentary valet included. To purchase tickets, visit www.twogalsevents.com or call 602-568-5313. Proceeds from the event will benefit The 100 Club of Arizona. To purchase tickets, go here or call 602-568-5313. 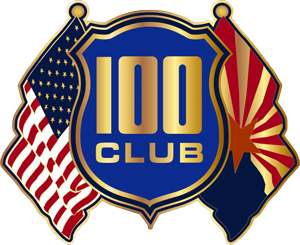 The 100 Club of Arizona is a nonprofit organization that provides financial assistance to public safety officers and firefighters when they are seriously injured or killed in the line of duty, and provides resources to enhance their safety and welfare. It was started in 1965, became a 501(c)(3) in 1968, and has given more than $5.9 million in financial support to Arizona’s men and women who stand behind the badge. For more information, log on to www.100club.org or email info@100club.org. This entry was posted in blog and tagged 100 club, arizona, charity, cook, event, firefighter, MESA, peoria, phoenix, POLICE, restaurant. Bookmark the permalink.